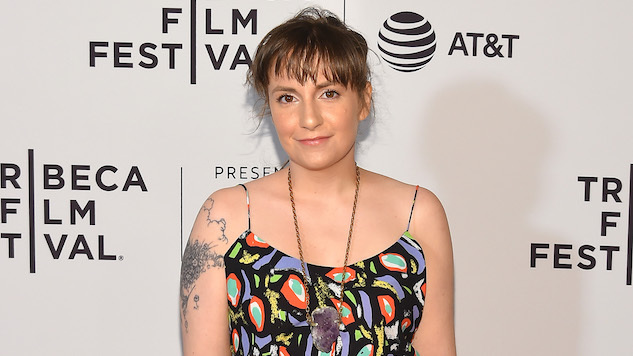 Leading up to the unveiling of the American Horror Story season seven title later today, Ryan Murphy has revealed that Girls’ Lena Dunham will be joining the cast for the anthology series’ latest installment. Official American Horror Story Season 7 title will be revealed Thursday July 20. And suddenly… it will all make sense. Murphy previously announced that the forthcoming season is inspired by the 2016 presidential election. “The first 10 minutes of the season takes place in a very eerie macabre way on election night and there's something terrible that happens in the lives of our characters on election night as they're watching it all go down,” the showrunner told E!. Following Sarah Paulson joking that she would like to play Donald Trump, Murphy also clarified that actors will not be portraying Clinton and Trump, who will only be seen on television. According to THR, Dunham will only appear in one episode, but no further information is known about the actress' role. The announcement, like most news regarding Dunham, was met with mixed responses from AHS fans. Many tweeted their discontent with the casting, making the whole situation seem like a PR horror story in itself. Dunham is not the only newcomer cast for the next season. Colton Haynes of Teen Wolf and Arrow, Scream Queens’ Billie Lourd and Billy on the Street host Billy Eichner will also be joining recurring cast members Sarah Paulson and Evan Peters. More details regarding the election-themed season are to be revealed during the show’s pop-up activation at San Diego Comic Con Thursday. Stay tuned to see what Murphy dreams up next to try to make his show scarier than actually living through the current administration.